Some assembly required! 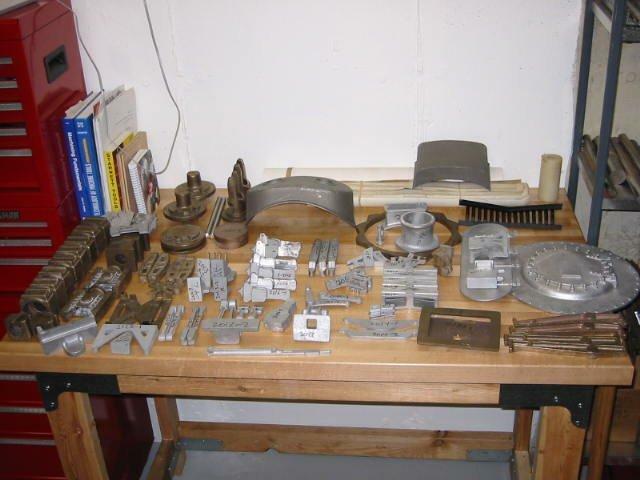 Here are some of the 150+ castings that need to be machined, assembled and painted to complete the locomotive. Most of the castings are aluminum, the rest are bronze. On the right is the smokebox cover, tender water hatch. The smokestack and sandbox are in the back. 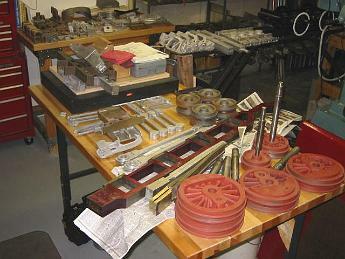 On the left are the axle boxes for the wheels.